Azerbaijan’s public broadcaster ITV has announced an open call for Eurovision 2019. The broadcaster detailed set of Rules, which have been established by the European Broadcasting Union (EBU), Trend Life reported. Composers should submit their lyrics and mp3 audio. The maximum duration of each song is three minutes. Entries will only be accepted by email as an MP3 file. The songs must not have been commercially released before September 1, 2018. The presented composition cannot be a cover version of songs by other musicians. The music and musical instruments used in the song must be original. Each participant in the qualifying round must also provide information about themselves. Acceptance of applications will end on February 7, 2019. The choice of the performer of the selected composition belongs to the Azerbaijan’s public broadcaster ITV. The Eurovision Song Contest 2019 will be the 64th edition of the Eurovision Song Contest. Israel received the right to hold a contest after the singer Netta Barzilai’s victory at the Eurovision 2018. The contest will be held at Expo Tel Aviv, the city's convention centre. 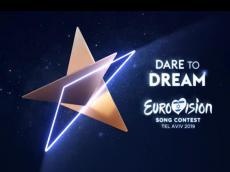 The show will consist of two semi-finals on May 14 and 16, and the final on May 18 2019.The motto of the competition - Dare to Dream. Israel won Eurovision for the fourth time. The country has won victories in 1978, 1979 and 1998. Azerbaijan debuted at the Eurovision Song Contest in 2008 after the Azerbaijani television channel ITV joined the European Broadcasting Union (EMU) and received the official right to broadcast the competition. Azerbaijan marked its debut in 2008 with the duo of Elnur and Samir, who managed to become eighth in the final with their song ‘Day after day’. The brilliant duet of Aysel and Arash, which represented Azerbaijan next year, took the third place at the song contest, while Safura Alizada, who represented Azerbaijan at Eurovision 2010 in Oslo, took the fifth place. On its fourth attempt with Ell and Nikki's Running Scared song, the Land of Fire won the event, bringing the contest to Baku’s Crystal Hall in 2012. Ell and Nikki were the first mixed-gender duo to win the contest since 1963 and the first winners from Azerbaijan. Azerbaijan reached the Top 5 in five consecutive contests and achieved the Top 5 place finishes each once - 3rd in 2009, 5th in 2010, 1st in 2011, 4th in 2012, and runner-up in 2013. The country managed another two consecutive Top 5 results with Sabina Babayeva finishing fourth with 150 points in 2012 and Farid Mammadov second with 234 in 2013. In 2017, Diana represented the country with the song "Skeletons" finishing in 14th place. In 2018, Aysel Mammadova brilliantly performed at Eurovision 2018 Semi-Final 1, however, she couldn't make it to the final. She represented Azerbaijan with the song X My Heart.